Haruka Tenoh (天王 はるか Ten'ō Haruka?) is a good-natured, masculine-acting girl. 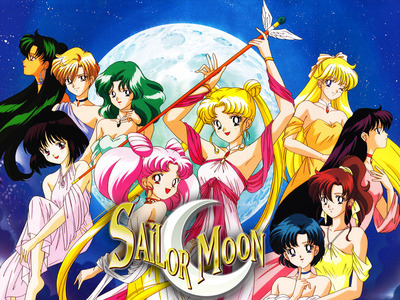 A year older than most of the other Sailor Senshi, she can transform into Sailor Uranus, Soldier of the Sky and Fury. Before becoming a Sailor Senshi, she dreamt of being a racer, and she has excellent driving skills. She tends to dress and, in the anime, speak like a man. When it comes to fighting the enemy she distrusts outside help and prefers to work solely with Sailor Neptune and, later, Pluto and Saturn. 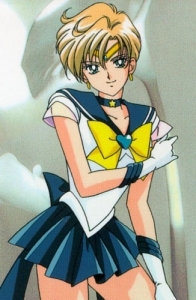 Sailor Uranus's talisman is known as the Space Sword, which aids her with her fighting and attacks.